What is SVG good for? Y'all probably wouldn't be surprised if I told you it's pretty awesome for icons, and icon systems. SVG icon systems can, and perhaps should be quite easy. I'm a fan of just inlining those suckers, particularly when they are pretty simple. Logos is a classic example! A lot of people dip their toes in this way. 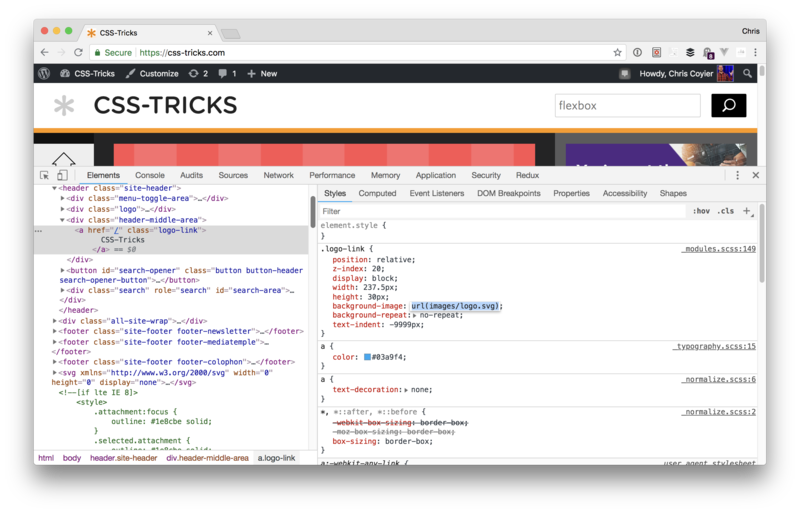 You don't have to inline the SVG if you don't want. It could be an <img> or background-image as well. These are really simple things though. At it's heart, SVG is simply a vector-based image format capable of just about anything. 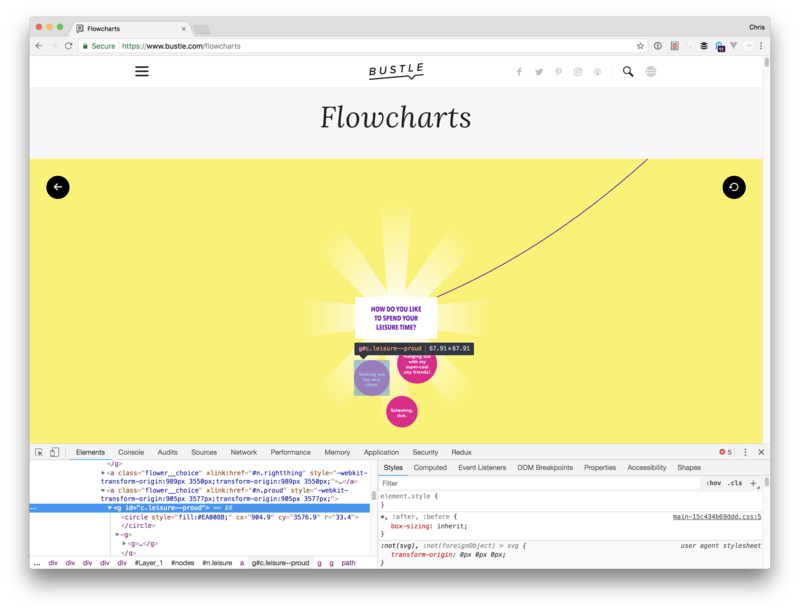 Way higher up the complexity scale, Bustle creates incredibly cool flowcharts using SVG. Try clicking around those flowcharts and seeing all the wonderful animation. SVG is very flexibly scalable. In that example above, part of what is going on there is an animation of the viewBox specifically. Charts are so business though. What about art?! Of course, SVG is great for art. 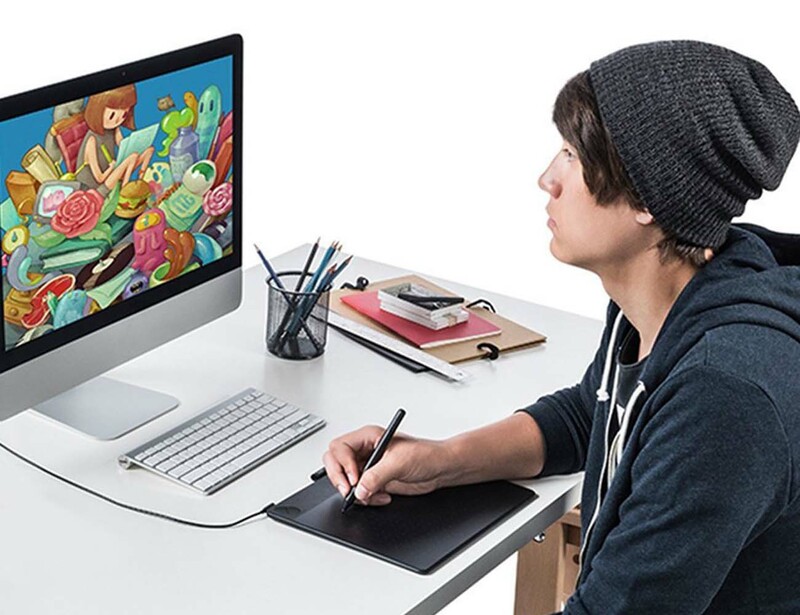 Creative tools for artists, like illustrators working on their fancy Wacom tablets, working in Adobe Illustrator, can export their work and display it as SVG. See the Pen Li´l Vikings by Fabio (@FabioG) on CodePen. Greensock has some pretty sweet paid features you might wanna check out. See the Pen Key Press SVG illustration with CSS animation by Rachel Nabors (@rachelnabors) on CodePen. See the Pen React Game- Elephant Taco Hunt by Sarah Drasner (@sdras) on CodePen. 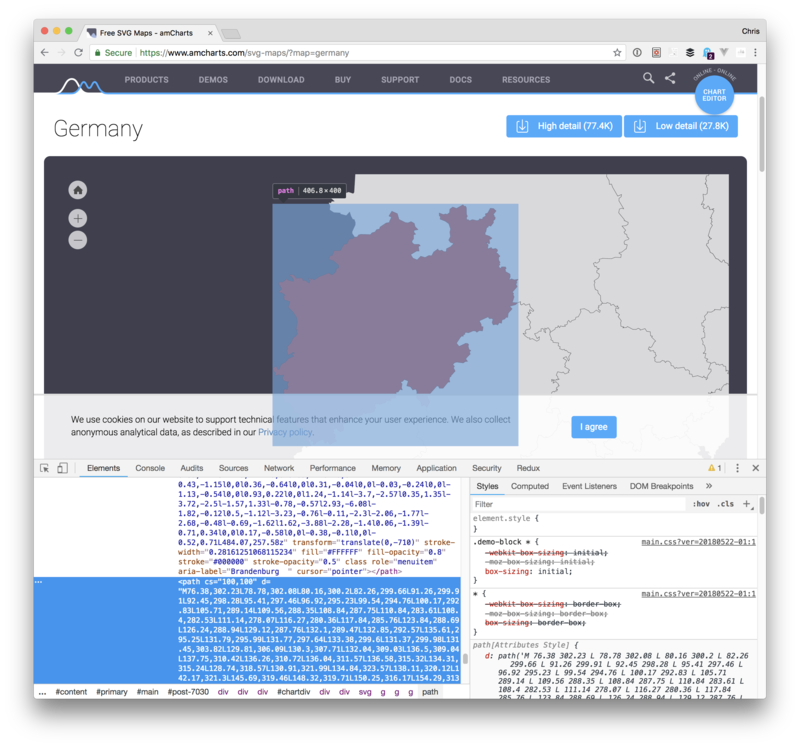 Maps are another amazing use-case. 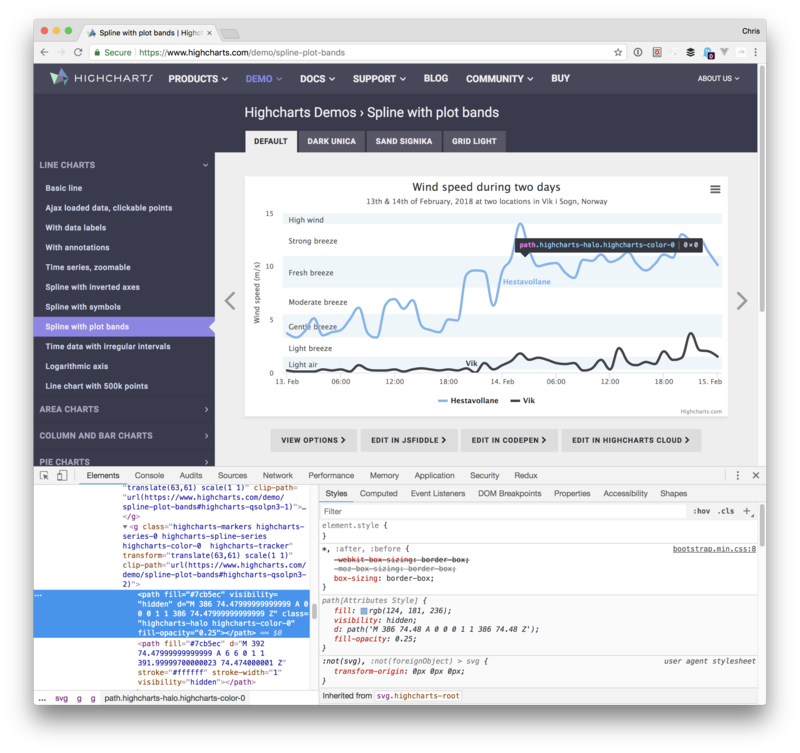 amCharts has a bunch of free ones for you, not to mention Wikipedia loves the SVG format especially for anything geographic. Want more? I have a huge collection of examples of amazing things that can be done with SVG. Coincidence: Yesterday was listening to a Podcast talking about SVG. CodeNewbie – S3E5 – Sarah Drasner. Never heard of both B4 this.